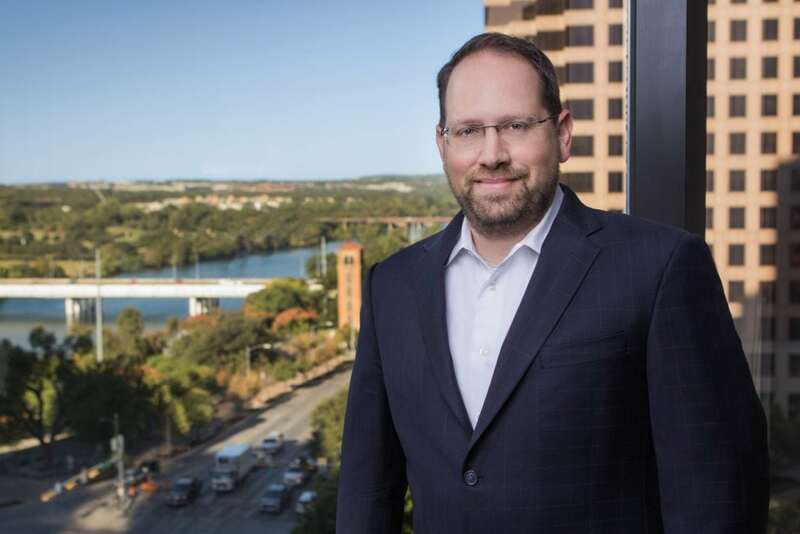 David M. Hoffman is a Principal in Fish & Richardson’s Austin office. Mr. Hoffman’s practice emphasizes patent litigation, inter partes review, commercial and civil litigation, prosecution, intellectual property counseling, and patent portfolio management. Mr. Hoffman has particular experience in inter partes review, high stakes patent litigation before the International Trade Commission, and a variety of federal district courts. Mr. Hoffman has experience successfully managing cases from inception through trial and beyond on behalf of both patent holders and parties accused of patent infringement in both the Courts and before the Patent Trial and Appeal Board. In addition to his experience in litigation, Mr. Hoffman has helped clients pursue patent rights in well over 100 patent applications in a wide variety of electrical and mechanical disciplines including semiconductor technology, memory, software, and wireless communications. Mr. Hoffman also helps clients in a wide variety of opinion matters. Mr. Hoffman also has technical experience as a Configuration Engineer and Production Supervisor for Applied Materials, Inc. (2000-2003). While at Applied Materials, he performed configuration reviews on complex electromechanical semiconductor wafer fabrication equipment and was responsible for the supervision, training and certification of 34 final test technicians. Mr. Hoffman was also a System Analyst for Ford Motor Company (1995). International Patenting and Enforcement, July 15, 2011, San Antonio, TX, State Bar of Texas Advanced Litigation Course. The ITC’s Unique Trial Related Procedures, May 23, 2011, Beijing, China, International Trade Commission Trial Lawyers Association, Section 337 Seminar for Chinese Enterprises. The ITC’s Unique Trial Related Procedures, May 27, 2011, Guangzhou, China, International Trade Commission Trial Lawyers Association, Section 337 Seminar for Chinese Enterprises. “Lifefactory Patent on Protective Sleeves for Containers Survives IPR With Most Claims Intact ,” IPWatchdog, August 2016. “Federal Court Blocks Texas Law Restricting Language Assistance to Voters ,” AALDEF Press Release, August 2016. “Software Co. Loses IP Review Bid After Late PTAB Petition,” Law360, June 2016. “Cisco Hit With $24M Verdict in Network Surveillance IP Row,” Law360, May 2016. “Biomedical Orthopedic Implant Patent Survives AIA Review,” Law360, May 2016. “2 Cypress RAM Patents Survive AIA Reviews,” Law360, April 2015.
a case involving limited English proficient voters bringing interpreters to assist at the polls. The Texas law at issue in the case required interpreters to be registered voters. The federal district judge granted AALDEF’s motion for summary judgment and enjoined the Texas law due to its’ contradiction of the Voting Rights Act, which protects the rights of voters to select persons of their choice to assist them at the polls. Biomedical Enterprises, Inc. v. Solana Surgical, LLC (Western District of Texas), First Chair Trial Attorney Represented Plaintiff against Solana in a patent infringement suit involving medical device technology. Settled Favorably at Trial. SRI Int’l, Inc. v. Cisco Systems, Inc., 13-1534 (District of Delaware), Representing Plaintiff SRI against Cisco in a patent infringement suit involving network security technology. Jury Verdict for $23.7M. contract suit involving electroluminescent keyboards. Case pending. STI International v. Double Nickel, LLC, 1:16-cv-00068 (Western District of Texas). Represented Plaintiff in declaratory injunction action involving contract related to firearm production. Case settled favorably. Double Nickle, LLC d/b/a Detonics Defense Technologies v. STI International, 3:16-cv-00181 (Southern District of Illinois). Represented Defendant in breach of contract action related to firearm production. settled favorably after preliminary injunction hearing. Graham Springs v. FedEx Office and Print Services, 2:15-cv-912 (Western District of Texas). Represented Defendant in Patent Infringement suit involving copy equipment. Case dismissed by Plaintiff prior to answering. e.Digital v. Spansion, 3:15-cv-00141-H-BGS (Southern District of California). Represented Defendant Spansion against e.Digital in a case involving Flash Memory. Case Dismissed by Plaintiff. 8:14-cv-1352-JLS (Central District of California). Representing Defendant Kingston against CATR in a case involving USB memory devices. Case Pending. Via Vadis v. D-Link, 1:14-cv-00812-LY (Western District of Texas). Represented Defendant D-Link against Via Vadis in a case involving networking technology. Settled Favorably. Cypress Semiconductor Corp. v. GSI Technology, Inc., 3:13-cv-02013 & 3:13-cv-03757 (Northern District of California), Represented Plaintiff Cypress against GSI in a patent infringement suit involving SRAM memory. Case Settled. Technology Properties Limited, LLC v. Kingston Technology Corp., 6:12-cv-00202 (Eastern District of Texas), Represented Defendant in a patent infringement suit against TPL involving flash memory card readers. Settled favorably. Uni-Pixel Displays Inc. v. Conductive Inkjet Technology Limited (Montgomery County State Court, TX), Represented Plaintiff in a Breach of Contract action and in a Declaratory Judgment action involving printed display technology. Case settled favorably. Microsoft v. John Doe 1 et al., 1:13-cv-01014 (Western District of Texas), Represented Microsoft in a cyber-crime proceeding against malicious bot-net operating in Texas and throughout the United States. Case dismissed after international law enforcement involvement against bot-net operators. Airstrip Technologies, Inc. v. MVISUM, Inc., 1:12-cv-07776 (Southern District of New York), Represented Plaintiff Airstrip against MVISUM in a patent infringement suit involving remote medical monitoring technology. Case settled favorably. involving flash memory card readers. Commission found non-infringement of all three patents asserted against Kingston. infringement suit filed by MOSAID involving nine patents concerning various aspects of processor operation and design. Case settled favorably. Semcon Tech v. Texas Instruments Inc., Case No. 12-534 (District of Delaware). Representing Defendant TI in patent infringement suit involving chemical mechanical polishing of semiconductors. Case settled favorably. infringement suit filed by TQP involving encryption technology. Case settled favorably. involving USB drives. Case resolved favorably before trial. Integrated Device Technology, Inc. v. Phison Electronics Corp., Case No. CV-10-5168 (Northern District of California). Represented Phison in patent infringement suit involving three patents concerning aspects of on-chip oscillators. Case settled favorably. involving flash memory products. District Court found on summary judgment that Kingston did not infringe asserted SanDisk patents. Case settled favorably. CERTAIN INTEGRATED CIRCUITS, CHIPSETS, AND PRODUCTS CONTAINING SAME INCLUDING TELEVISIONS, MEDIA PLAYERS, AND CAMERAS, 337-TA-709 (International Trade Commission). Represented Complainant against various television manufacturers and retailers. Major parties settled favorably prior to trial. involving flash memory products. District judge found on summary judgment that Kingston did not infringe asserted SanDisk patents. Case settled favorably. Freescale Semiconductor v. Panasonic Corp. et al., 10-CA-138 (Western District of Texas). Represented Freescale Semiconductor in patent infringement suit involving integrated circuit and semiconductor packaging technologies. Case settled favorably. Freescale Semiconductor v. Panasonic Corp. et al., 10-CA-139 (Western District of Texas). Represented Freescale Semiconductor in patent infringement suit involving semiconductor packaging technologies. Case settled favorably. concerning various aspects of DRAM memory. Parties settled after trial. involving computer keyboards. Case dismissed.
. Case resolved and dismissed. battery technology. Case settled favorably. Silicon Services Consortium v. Applied Materials, 06-CA-051 (Western District of Texas). Represented Defendant Applied Materials in connection with anti-trust claims and patent infringement counterclaims. Case settled.